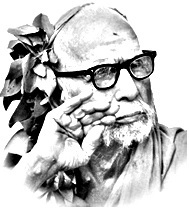 Lot of theories float around the origin of Kula Deivam called tutelary and family deities. If one read Puranas and epics in depth, they will realise that the concept of tutelary deity has been prevailing since the period of Vedas. 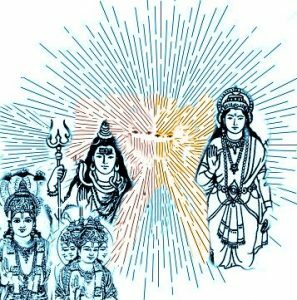 Before we delve into the origin, concept and worship of tutelary and family deities, we need to briefly understand the principle of creation of cosmic from which the concept of tutelary deity/ family deities emerged over period of time, yugas after yugas. The tutelary and family deities were created from the first yuga itself since the major portion of those souls took the form of humans. 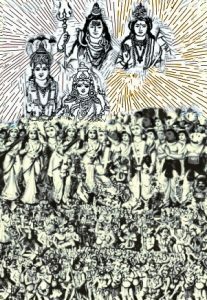 The canon of creation laid out that the souls under the tutelary and family deities were to get birth and rebirths in the yugas created. The tutelary and family deities were made the custodian of thirteen generations of those souls first allotted to them. The aspect of thirteen generations will also be explained in later part.3 The canon of creation stipulated that the souls who meet death may not get rebirth in the form in which they died but get rebirth as humans, animals or even in the form of any other objects in the cycles of birth-death-rebirths depending upon the good deeds or sins they committed during their stay on earth. 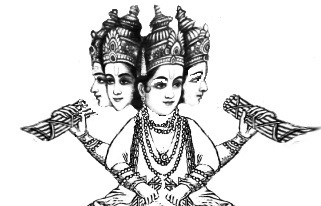 It was laid out principle of Parabrahman that some of the souls created by Lord Brahma may also turn into angels or divine elements in each of the yugas and become tutelary or family deities and merge into the Deva loga depending upon the good deeds they acquired during one of the four yugas. An important question arises, whether the control of tutelary and family deities over the souls allotted to them in the first yuga will remain unaltered for all the four yugas ? When souls from first yuga enter into the next yuga, will the same tutelary and family deities also follow them and remain their custodian in the same form or will they taker newer appearance, or newer set of tutelary and family deities will manifest and take over, or by design of accident the same deities may also hold the souls that were under them in the previous yuga ? The puranic texts are either silent or unclear on the issue of control of tutelary and family deities over the souls. The information on this is hazy. Then what is the factual position on the controlling part of the tutelary and family deities over the souls they held in the first yuga ? To the puzzle whether in the new yuga the same fleet of deities will continue to hold the same sets of souls of the previous yugas or are they will be allotted newer sets of souls in each of the yugas, only indirect reference is found in the texts like Devi Bhagavatam and Vishnu Puran which mentions that along with the universe the entire fleet of divines including Lord Brahma, the creator of universe himself meet death and vanish into the energies of Parabrahman (Sivasakthi) to reborn again at dawn of seven Chatur yugas. This indirect reference implies that there is no death for the set of divines including tutelary and family deities created in the first yuga till the dawn of Chathur yuga and newer sets of deities and divines emerge only when rebirth of entire divine force takes place at the dawn of Chathur yuga and till then yugas after yugas only the same sets of tutelary and family deities continue to rule over the souls allotted to them, though the souls and the tutelary and family deities may be in different shapes and appearances. As per canon on creation of universe, the tutelary and family deities can not emerge at their will, and all manifestations were and are taking place in different periods of time yuga after yugas as per the laid out format of Lord Brahma. Their shape and appearance, the place where they are to manifest have all been pre decided in the pre laid out in the agenda of Brahma when he created the universe. 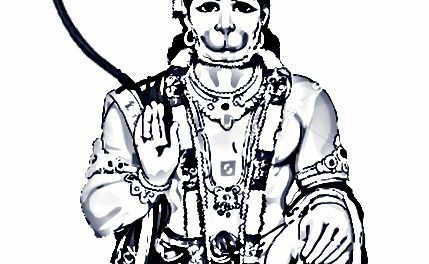 Every manifestation, their place of appearance under specific circumstances etc have also been pre programmed in Lord Brahma’s act of creation say the learned pundits. Unfortunately the texts on the principle and canon of creation continue to flow down by word of mouth preaching and teachings or transcripts from spiritual masters, seers and sages down to humans including divine prophets and messengers of divine over the past several thousands of years. 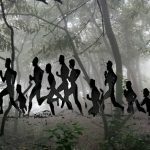 This is because a major portion of written texts of original Rig Veda and other important puranic texts of pre and post Vedic periods, reportedly kept scribbled on palm tree leaves, remain untraceable till date or believed to have been destroyed by nature, so opine the spiritual masters. Hence many of the texts of Vedic period remain word of mouth preaching and teachings say the spiritual masters. However since the same texts have also been preached to the divine sages by the divine themselves on many occasions, they have flowed down over millions of centuries by word of mouth preaching and teachings. 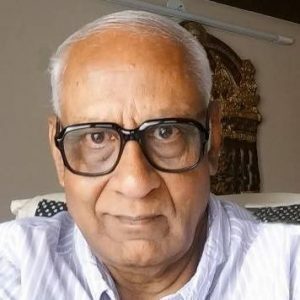 Some of the spiritual organizations such as Brahma Kaumari Samaj, Gayathri Parivar, Datthathreya Parivar, Digambars and life stories of several Seers, Sadhus and Sanyasins hold these views strongly. 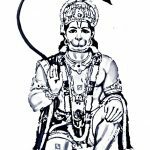 It is also mentioned in a text called “Rahasyasthuthi” meaning secret doctrine, that the principle and canon of creation has been narrated by Lord Vishnu himself to Sage Narada. One other interesting question has been, while the life cycles of the souls created by Lord Brahma is subjected to death and rebirths in all the four yugas, whether the life circle of the tutelary and family deities are also fixed or are they eternal ? Whether their role to rule is also fixed or are changed yugas after yugas ? If we understand the texts of some of the Puranas especially Vishnu puran, Garuda puran and Devi Bhagavatam, we will realise that only Parabrahman – the combined energy -Sivasakthi- is eternal and all others are perishable. Even the life cycle of Lord Brahma, who was one of the three energies of Parabrahman who emerged when the cosmic was created has cycles of birth and death. This leaves one to wonder how the proclamation of Lord Krishna and some of the divines on many occasions se that they were eternal hold good ? Such proclamation that they are eternal is true. Those who think so may not have clearly understood the deeper meaning of ‘eternal’ as expressed in their proclamation. What they said was that their emanation in a particular appearance was from the energies of those divines and sub divines who emanated from the eternal energies of Parabirumman who is eternal, and therefore they only shed their appearance and not their athman, meaning soul after completion of the task given to them. Their souls in the form of energies merge into the energies of their creators only to reappear in different other form. The texts on several Puranic scriptures including Devi Bhagavatam and Vishnu Puran mentions that the soul of Lord Brahma takes several rebirths along with Devendra and other Ganas of Deva Loga at the dawn of every seventy first Chathur yuga. Every Chathur yuga consists of four Yugas namely Satya, Thretha, Dwapar and Kali Yuga. The seventy first Chathur yuga emerges at the end of 17,280,000 human years at the end of four cycles of four Yugas. The Satya Yuga, the first in yugas has 1,728,000 human years, the next Thretha Yuga has 1,296,000 human years, next Dwapar Yuga has 864,000 human years and last the Kali Yuga has 432,000 human years and total of entire four yugas works out to 4,320,000 human years. So Lord Brahma reportedly takes rebirth at the dawn of every seventy first Chathur yuga which surfaces at the end of 4,320,000 x 4 = 17,280,000 human years. How does the end and rebirth of Lord Brahma take place ? The puranic texts mention that on emergence of seventy first Chathur Yuga, the cosmic annihilates in the deluge caused by the vast sea on the land, which were also believed to be the creation of Lord Brahma himself. When deluge annihilates the cosmic Lord Brahma along with all other divine forces and universe too disappears and merge into the energies of Parabrahman who again set agenda for creation of cosmic with the release a newer set of divines beginning from trinities. What about the land and sea? The spiritual masters explain that the land and the sea were not the creation of Lord Brahma as believed, but invisible and eternal energies within the energies of Paramathman, and they were only made visible by Lord Brahma while creating the universe to float each and every soul created by him. While creating the Universe Lord Brahma meticulously worked out various aspects of creations that included the manifestations of several divines including tutelary and family deities. 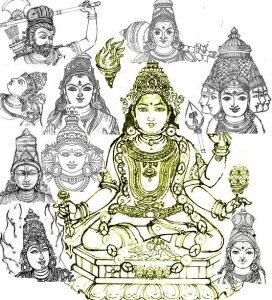 The next most important question that arises is whether the tutelary and family deities are also the creation of Lord Brahma? The answer is clear ‘NO’ as the role of Lord Brahma is limited to work out only the shape, external appearance, place and period of manifestation of divine forces including the tutelary and family deities to guide and guard souls allotted to them. The numerous divine forces, semi and demi gods including tutelary and family deities in different appearances and shapes emanate from the main energies of only four divines manifested from Parabrahman. 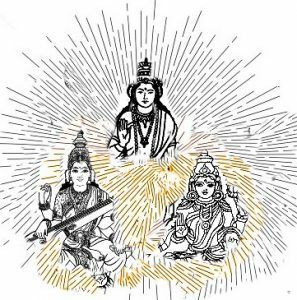 At the time of creation of cosmic one part of Parabrahman i.e Siva reportedly released three prime male divines while the other part of Parabrahman i.e Sakthi released one prime female divine force. What is mysterious is when the cosmic was created, while six prime divines emerged initially how could only four divines were able to release the sub divines ? What is fact as understood from the Vedic texts is Parabrahman from the Siva side released three prime divines which took the shape of Lord Shiva, Lord Brahma and Lord Vishnu out of which only two divine energies, Lord Shiva and Lord Vishnu through their several sub energies have been authorised to release several divine forces. The third of the divine of Parabrahman who was Lord Brahma has not been authorised to release divine elements from his energies as can be seen from the texts of puranas and epics which show that his role has been confined to only to the act of creation and minor act in divine dramas. None of the Puranas or epics establish that Lord Brahma has released some manifestation from him to annihilate asuras or demons during Deva -Asura wars but at the same time he had remained instrumental in the release of some of the newer manifestations by Lord Shiva, Lord Vishnu and other few Goddesses. The reason for this could not be explained convincingly by anyone so far. Therefore one can only assume that the tutelary and family deities have not been created by Lord Brahma and he has only laid out a well defined agenda for their manifestation. There is also another reason for Lord Brahma being not authorised to release emanations. 1On the birth of Lord Brahma the first Chapter of Manusmrti, a text by Manu on code of conduct and the origin of world, it is mentioned that Lord Brahma has actually emanated from the nave of Lord Vishnu which suggests that immediately after Vishnu was created by Parabrahman, Vishnu released Brahma from his energies to create the universe. Therefore Lord Brahma was confined to the position of creation, Lord Vishnu has been made the preserver of the creations for which more divines were needed and thus he was authorised to release energies to manifest in different forms to preserve Lord Brahma’s creations. 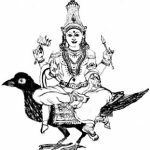 Similarly once manifested as female divine from the Sakthi side of Parabrahman, Goddess Parvathi from her energies immediately released two more female divines -Maha Lakshmi and Saraswathi. Thus matching to the three male divines from male part of Parabrahman, three female divines too emerged from the Sakthi side. Goddess Mahalakshmi who was emanation from the energies of Goddess Parvathi too was authorised to release several semi and demi gods including tutelary and family deities and the role of Goddess Saraswathy was found to be negligible or nearly nil in this aspect though she herself turns into different forms and appearances without releasing newer manifestations from her energies. The reasons for this state of fact is also unclear and intriguing. 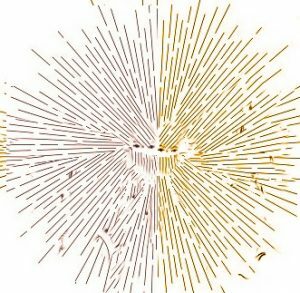 This means the numerous divine forms, semi and demi gods, and tutelary and family deities are the energies of only two main male and two female divines. Sivasakthi in Parabrahman is not Lord Shiva and Goddess Parvathi who came out from Parabrahman. They are different from Sivasakthi . 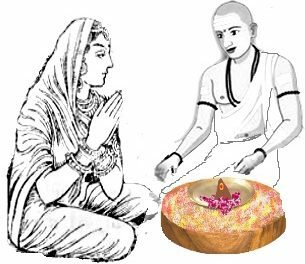 Thus after the emergence of three male and three female divines Parvathi became consort of Lord Shiva’s, Mahalakshmi became consort of Lord Vishnu and Saraswathi that of Lord Brahma. 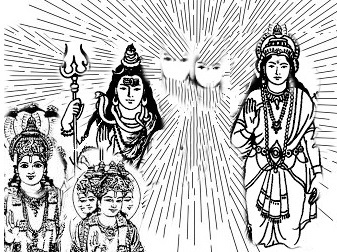 Thereafter numerous divine forces, semi and demi gods including tutelary and family deities in different appearances and shapes emanated from the main and sub energies of Lord Shiva, Lord Vishnu and Goddess Parvathi at various periods of time as laid out in the format of Lord Brahma.